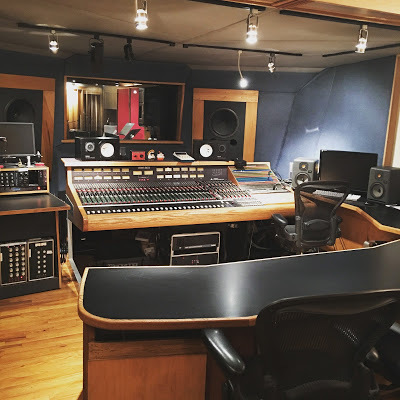 Protools HD, Apogee Converters, Trident 80B Console, Neve, API, Daking, Neumann, Studer, etc..
Our studio is located in the thriving, diverse community known as Hell’s Kitchen on the west side of Manhattan just north of the HIGHLINE. If you like great nightlife, restaurants and bars, hotels, Broadway theater, and access to anywhere in the city at any time, this is the place to be. Threshold Recording Studios control room is a wonderfully tuned, visually appealing & ergonomic environment that facilitates creativity and a smooth ANALOG and DIGITAL Hybrid workflow- and absolutely overflowing with tons of great new and vintage outboard gear, instruments, amplifiers, and microphones. It’s a great space to spread out and relax while you efficiently develop your sound & style with our celebrated staff of in-house producers & engineers. Almost a thousand bands, many thousands of musicians, countless Engineers & Producers have recorded at our studio over the last 20 years. Bring us your band and we’ll bring out your best! The Trident 80B- A true classic & COMPLETELY rebuilt! Our Trident is a warm, analog sounding vintage British Console. If you are an Engineer or Producer and you haven’t worked here before: it’s excellent, fully floated and tuned room with a fully rebuilt Trident 80B desk, Tannoy DMT15 mains, NS10 and KRK nearfields with Yamaha Sub (optional) and Bryston amps. 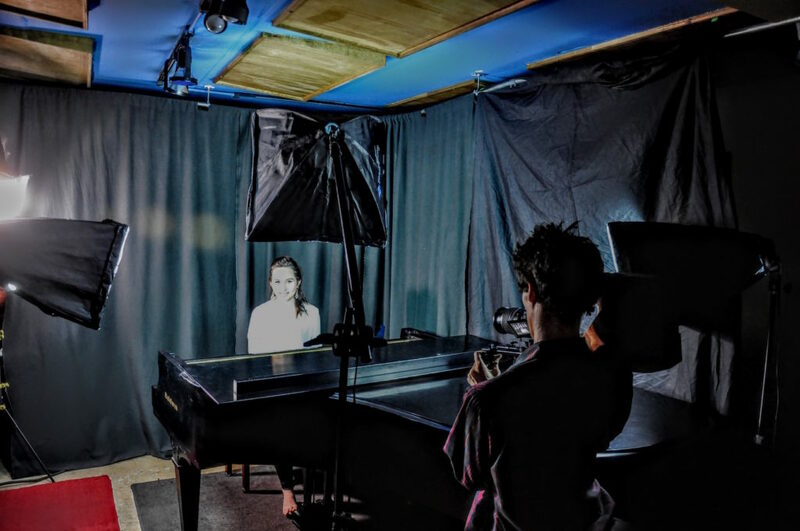 There is a large windowed direct line of sight to both the floated iso booth and the live room. Over the summer of 2016 we fully rebuilt our Trident 80B console (power supply, caps, switches, pots & faders). It sounded great before- and now it’s a monster! The 20th-anniversary studio overhaul also included all new patch bays, refurbished tie lines, AND we totally restocked the room with a huge selection of very cool colorful outboard gear. Our 2′ 24 track Studer A827 and ATR 102 are in excellent condition & are seamlessly integrated into our Protools HD system with Apogee converters. 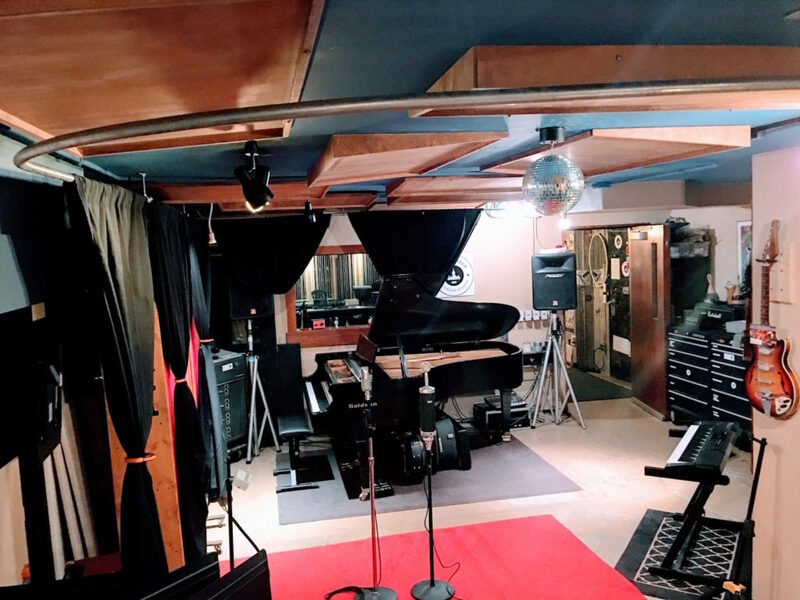 Threshold’s live room is an inspiring, tuned space fully stocked with great instruments, classic amplifiers, and an incredible 7′ Baldwin grand piano. There are two complete isolation booths (allowing for 3 fully isolated recording spaces) and an incredible selection of microphones to capture your sound. Owner & Executive Producer James Walsh has an awesome collection of vintage amplifiers, effects pedals and guitars which are available in every session. Drums recorded at Threshold are commonly regarded on par with any of the best recording studios in the country. The house kit, usually a mid 90’s pearl kit or DW are always available and really sound great. After tracking basics, the live room becomes a spacious overdub booth, fully sound shapable with many recording options for vocals, guitars, keys, piano, percussion, etc. Recording Guitars at Threshold Studios is an awesome experience. There are several flexible input options for connecting guitars, heads & cabinets from the control room to the live room and to the iso booth. Classic & original sounds are waiting for you in the shapable sound of the live room and through our very respectable collection of vintage guitars, amplifiers and effect pedals. 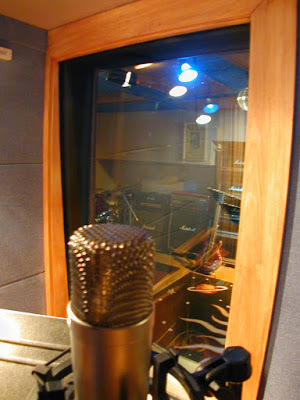 The vocal booth at Threshold studios is a fully floated IAC spec 7×7 acoustically tuned portion of our Live Room. 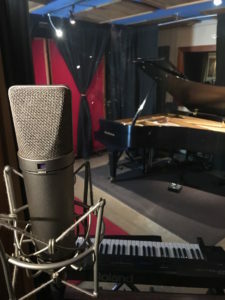 It’s a great space to isolate instruments or amplifiers during tracking and an even more impressive booth for high-end vocal recording, audio books, voice-overs and acoustic instruments. Featuring Pro Tools 12 HD, Apogee Converters, a large format vintage analog Trident 80B console, and a Baldwin 7″ Grand Piano. Neve, API, Studer A 827, ATR 102, Daking, UA, Lexicon, Neumann, Sony, Royer, and more amplifiers, guitars, instruments than you can shake a stick at! 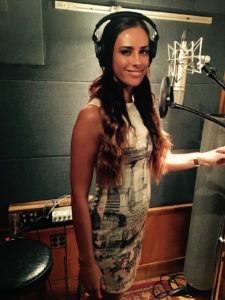 One of the pillars of the ‘British sound’ of the early 1970s was Trident Studios in London. Filled with brilliant engineers and cutting-edge gear, it was to go-to place for many of the top bands of the day. Starting with the Beatles, who relished the ability to record in 8 tracks (when Abbey Road still only had 4 track), a steady stream of rock stars came through the door. David Bowie in his Aladdin Sane/Hunky Dory/Space Oddity period; Queen and their first few albums; Jeff Beck, Supertramp, James Taylor and many more. Wanting to remain at the forefront of technology, Trident studios looked in a vain for a manufacturer to make them a custom console. But why ask someone to do something when you can do it for yourself? And thus Malcolm Toft and Barry Porter, the in house engineers of Trident, came up with their own console, dubbed the ‘A Range’. Only a baker’s dozen of these legendary consoles were made, and as the years went by Trident continually innovated with a long line of further consoles, including the famous 80 Series, which debuted in 1980 shortly before the original Trident closed its doors. Following on the heels of this successful console was the model 80B in 1983, a classic ‘split design’ console set up in a standard configuration of 32 x 24 x 24 with 5 aux per channel. The 80B remains in favor with engineers the world over for its signature sound. 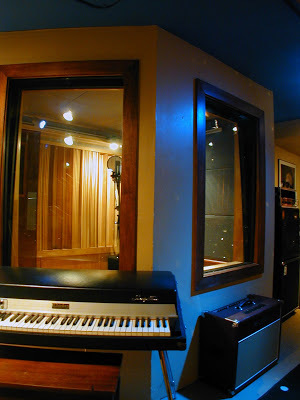 A premier Recording Studio in NYC with Top of the line gear and experienced Music Producers on Staff for every session!